Q: I have another question.. after I successfully click and load the data in to my window using the mouseover tab, the tab defaults back to the original default tab. Because I have to reload my page after the tab has been selected the tab chosen is lost. What do you recommend for "remembering" the tab so that when the page reloads the correct tab is highlighted. I know that I need to set the var bselectedItem but if you have a "nifty" way for me to do that I am all ears. 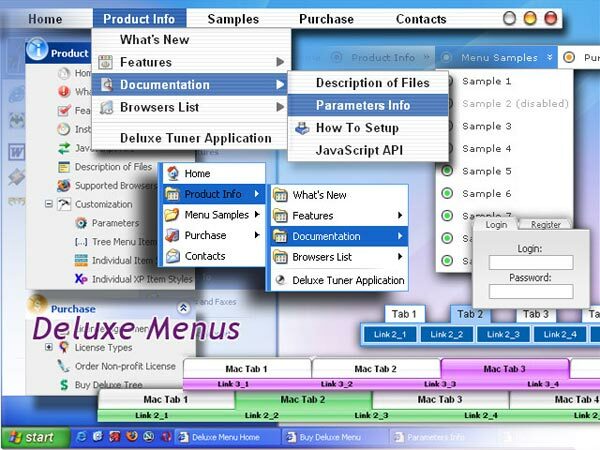 Q: Does your product generate the page code or is t a dll I have to use? Reason I ask is because we store our menu stuff with image references in a db. If your product outputs code for the menu, then I can use that and in my own code I can place/substitute values and work with it from there. A: We have an .exe file - Deluxe tuner. It generates .js files with menu parameters. 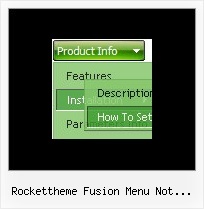 You can also export your menu to .html file.